What does it mean to study Victorian women’s poetry in the twenty-first century, and how do we best go about it? I began to contend with these questions when I wrote the chapter on poetry for the Cambridge Companion to Victorian Women’s Writing edited by the late Linda H. Peterson (2015). “Struggle” is perhaps the more candid verb. I had only 6,500 words in which to cover the whole of Victorian women’s poetry. How was that possible when, even to cite only printed books, the American editor E. T. Stedman had documented so many women poets in Britain and the colonies in his 1895 A Victorian Anthology? And what should I do in the face of the immense numbers of Victorian women poets surfacing through Google books and Hathitrust digital editions or newer print anthologies like Working-Class Women Poets in Victorian Britain (2008), edited by Florence S. Boos, and Herbert Tucker’s print monograph Epic: Britain’s Heroic Muse (2008)? In the end I had either to say very little about a wide swath of poets or speak in depth about few. Like so many other authors of chapters of this sort, I opted to focus my 2015 Cambridge Companion chapter on the few, here the most prominent poets of three successive generations—Felicia Hemans, Elizabeth Barrett Browning, and Christina Rossetti—while gesturing as I could toward the great many other poets who flourished in the time period. I was satisfied with the chapter even as I felt that it was, in some respects, a fiction relative to the larger subject I had been assigned. When it came to editing The Cambridge Companion to Victorian Women’s Poetry, which at more than 110,000 words provides so much more leeway in treatment, my first four decisions were easy: 1) this Companion would not be organized around a cavalcade of single-author chapters; 2) neither would it be a large-scale authorship study that minimized attention to what made individual poems interesting and worth reading; 3) it was essential to include a digital humanities chapter that demonstrated the uses of Victorian women’s poetry considered as a large-scale corpus; and 4) I would invite contributions from as many of the best scholars working on women’s poetry today as possible. 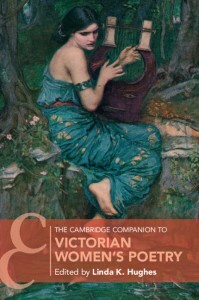 The result is the Cambridge Companion to Victorian Women’s Poetry released this month, with its beautiful cover compliments of the Cambridge University staff and John William Waterhouse, whose The Charmer (1911) forms the central image. One of the reasons I delight in the cover image is that it is a kind of visual preview of the volume as a whole, a point I want to develop here. The title of the Waterhouse painting has nothing to do with “charm” in the conventional social or feminine sense, especially the plural “charms” suggesting women’s surface attractions absent substantive intellect or conversational power. Nor is the painting a poetess image akin to the familiar frontispiece images of a Hemans or Letitia Landon—publicity stills that conveyed decorous, even fragile femininity. Waterhouse’s Charmer is a figure of power, casting a spell with her lyre that compels fish to rise from the depths. In short, she is a female Orpheus, a figure rarely encountered in mythology or nineteenth-century women’s poetry books but not inconsistent with the cultural and poetic powers attributed to Aurora Leigh by her creator. Nor does the Waterhouse image immediately suggest a classic Anglo-Saxon heritage of blonde hair and gray or blue eyes. 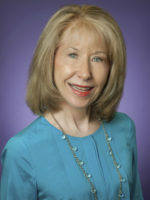 Indeed, this poet-singer could even be a foreigner, just the right association I want to invoke for Victorian women poets that numbered in their ranks Jewish poet Amy Levy, the immigrant Mathilde Blind (also Jewish), and Indian poets Sarojini Naidu and Toru Dutt. I even like the dirt-encrusted bare left foot of the Charmer, which for me, relative to the Companion’s contents, evokes the poverty and dirt encountered by poets like Ellen Johnston in factories or on city streets, or perhaps merely the ink smudges common to middle- and working-class poets alike caught in the act of literary production. But if the identity of Waterhouse’s charmer is ambiguous, liminal, possibly transnational, the music that she is in the process of creating on her lyre remains central to her image, as it does to the poems of more than one hundred women (still only a partial sample) discussed in the Companion. The Companion appropriately begins with poetic “Form and the Senses” before moving on to poets’ engagement with the material practices of publishing, work, transnationality, politics across class and national boundaries, and religion approached from multiple orientations. A succeeding section fully acknowledges (as have earlier chapters) the ubiquity of the “poetess” figure while demonstrating in manifold ways how this category neither defined nor limited women’s poetic production. And the volume concludes with reflections on how to read women’s poetry both digitally and theoretically. Alongside and within these broad sweeps of investigation, every contributor devotes some space to a detailed close reading that reveals in all its particularity the music—and the fascination—of individual poets and poems. The following link to the volume’s chapters and contributors will enable all who see this blog to visit the volume’s contents more directly: https://www.cambridge.org/core/books/cambridge-companion-to-victorian-womens-poetry/6C229243C339D6F5DD85AF6C7865C135. Whether you are an experienced researcher or casual browser, I invite you to become acquainted with poets famous and little known in the new Cambridge Companion. For those who wish to know more about the poets themselves, capsule biographies in an appendix will provide brief introductions.